In major legislation passed at the end of August, California committed to creating a 100 percent carbon-free electricity grid — once again leading other nations, states, and cities in setting aggressive policies for slashing greenhouse gas emissions. Now, a study by MIT researchers provides guidelines for cost-effective and reliable ways to build such a zero-carbon electricity system. The best way to tackle emissions from electricity, the study finds, is to use the most inclusive mix of low-carbon electricity sources. Costs have declined rapidly for wind power, solar power, and energy storage batteries in recent years, leading some researchers, politicians, and advocates to suggest that these sources alone can power a carbon-free grid. But the new study finds that across a wide range of scenarios and locations, pairing these sources with steady carbon-free resources that can be counted on to meet demand in all seasons and over long periods — such as nuclear, geothermal, bioenergy, and natural gas with carbon capture — is a less costly and lower-risk route to a carbon-free grid. The new findings are described in a paper published today in the journal Joule, by MIT doctoral student Nestor Sepulveda, Jesse Jenkins PhD ’18, Fernando de Sisternes PhD ’14, and professor of nuclear science and engineering and Associate Provost Richard Lester. Sepulveda also emphasizes the importance of cost-effective paths to carbon-free electricity, adding that in today’s world, “we have so many problems, and climate change is a very complex and important one, but not the only one. So every extra dollar we spend addressing climate change is also another dollar we can’t use to tackle other pressing societal problems, such as eliminating poverty or disease.” Thus, it’s important for research not only to identify technically achievable options to decarbonize electricity, but also to find ways to achieve carbon reductions at the most reasonable possible cost. To evaluate the costs of different strategies for deep decarbonization of electricity generation, the team looked at nearly 1,000 different scenarios involving different assumptions about the availability and cost of low-carbon technologies, geographical variations in the availability of renewable resources, and different policies on their use. Regarding the policies, the team compared two different approaches. The “restrictive” approach permitted only the use of solar and wind generation plus battery storage, augmented by measures to reduce and shift the timing of demand for electricity, as well as long-distance transmission lines to help smooth out local and regional variations. The “inclusive” approach used all of those technologies but also permitted the option of using continual carbon-free sources, such as nuclear power, bioenergy, and natural gas with a system for capturing and storing carbon emissions. Under every case the team studied, the broader mix of sources was found to be more affordable. The cost savings of the more inclusive approach relative to the more restricted case were substantial. Including continual, or “firm,” low-carbon resources in a zero-carbon resource mix lowered costs anywhere from 10 percent to as much as 62 percent, across the many scenarios analyzed. That’s important to know, the authors stress, because in many cases existing and proposed regulations and economic incentives favor, or even mandate, a more restricted range of energy resources. In looking at options for new power generation in different scenarios, the team found that the traditional way of describing different types of power sources in the electrical industry — “baseload,” “load following,” and “peaking” resources — is outdated and no longer useful, given the way new resources are being used. Rather, they suggest, it’s more appropriate to think of power sources in three new categories: “fuel-saving” resources, which include solar, wind and run-of-the-river (that is, without dams) hydropower; “fast-burst” resources, providing rapid but short-duration responses to fluctuations in electricity demand and supply, including battery storage and technologies and pricing strategies to enhance the responsiveness of demand; and “firm” resources, such as nuclear, hydro with large reservoirs, biogas, and geothermal. The group used a range of projections, made by agencies such as the National Renewable Energy Laboratory, as to the expected costs of different power sources over the coming decades, including costs similar to today’s and anticipated cost reductions as new or improved systems are developed and brought online. For each technology, the researchers chose a projected mid-range cost, along with a low-end and high-end cost estimate, and then studied many combinations of these possible future costs. Under every scenario, cases that were restricted to using fuel-saving and fast-burst technologies had a higher overall cost of electricity than cases using firm low-carbon sources as well, “even with the most optimistic set of assumptions about future cost reductions,” Sepulveda says. 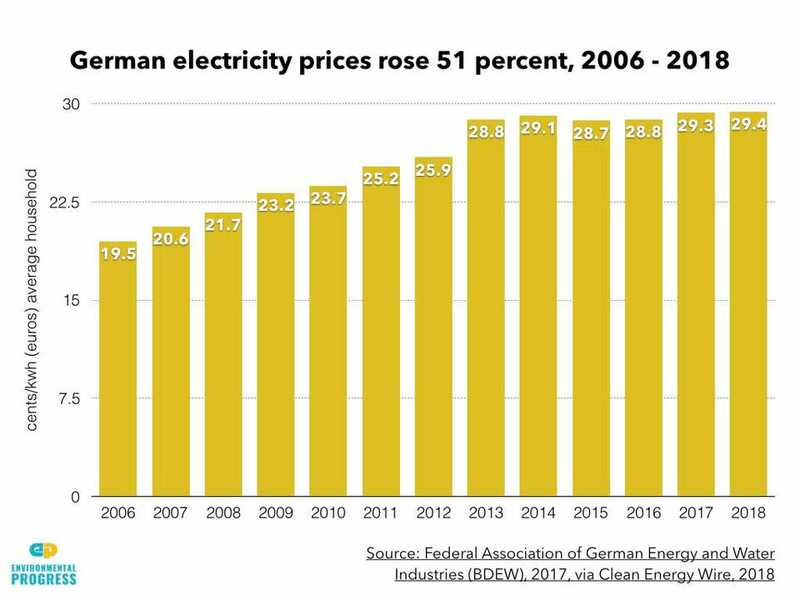 The authors also found that across all of the wind-solar-batteries-only cases, the cost of electricity rises rapidly as systems move toward zero emissions, but when firm power sources are also available, electricity costs increase much more gradually as emissions decline to zero. “If we decide to pursue decarbonization primarily with wind, solar, and batteries,” Jenkins says, “we are effectively ‘going all in’ and betting the planet on achieving very low costs for all of these resources,” as well as the ability to build out continental-scale high-voltage transmission lines and to induce much more flexible electricity demand. In contrast, “an electricity system that uses firm low-carbon resources together with solar, wind, and storage can achieve zero emissions with only modest increases in cost even under pessimistic assumptions about how cheap these carbon-free resources become or our ability to unlock flexible demand or expand the grid,” says Jenkins. This shows how the addition of firm low-carbon resources “is an effective hedging strategy that reduces both the cost and risk” for fully decarbonizing power systems, he says. Even though a fully carbon-free electricity supply is years away in most regions, it is important to do this analysis today, Sepulveda says, because decisions made now about power plant construction, research investments, or climate policies have impacts that can last for decades. The research received support from the MIT Energy Initiative, the Martin Family Trust, and the Chilean Navy. Now, a new class of materials — halide double perovskites — may have just the right properties to split water, according to a newly published paper in Applied Physics Letters, from AIP Publishing. “If we can come up with a material that can be useful as a water-splitting photocatalyst, then it would be an enormous breakthrough,” said Feliciano Giustino, a co-author on the paper. Researchers have experimented with many photocatalytic materials before, such as titanium dioxide (TiO2). While TiO2 can harness sunlight to split water, it’s inefficient because it doesn’t absorb visible light well. So far, no photocatalytic material for general water splitting has become commercially available. Using supercomputers to calculate the quantum energy states of four halide double perovskites, George Volonakis and Giustino, both of the University of Oxford, found that Cs2BiAgCl6 and Cs2BiAgBr6 are promising photocatalytic materials because they absorb visible light much better than TiO2. They also generate electrons and holes (the positively charges absence of electrons) that have sufficient energy (or nearly ideal energies) to split water into hydrogen and oxygen. Giustino and his team originally discovered this type of perovskite while looking for materials to make solar cells. Over the last several years, perovskites have garnered interest as materials to boost the efficiency of silicon-based solar cells through tandem designs that integrate a perovskite cell directly onto a high-efficiency silicon cell, but they contain a small amount of lead. If they were used for energy harvesting in a solar farm, the lead could pose a potential environmental hazard. In 2016, using computer simulations to identify alternative materials, the researchers found a new type of lead-free perovskite with potential for high-efficiency solar cells. The present paper shows these new materials may also split water. 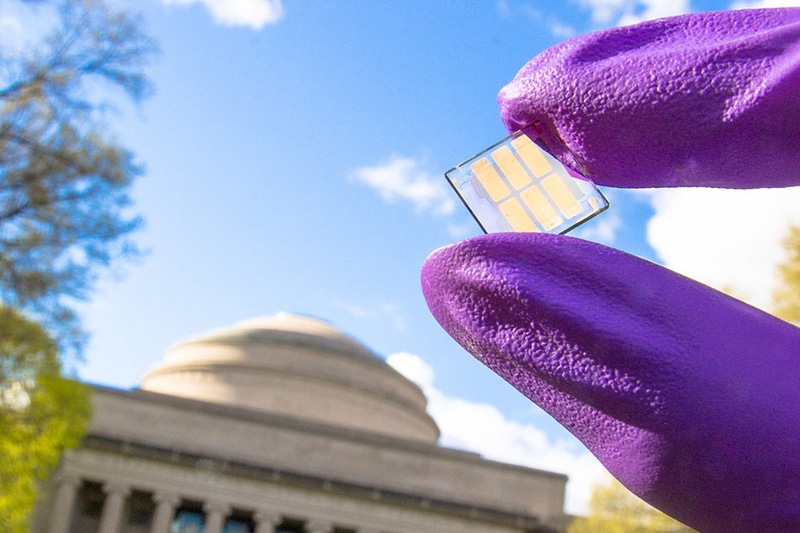 “These new double perovskites are not only promising as a complementary material for tandem solar cells, but they can also be promising in areas like photocatalysis,” Volonakis said. Still, the new analysis is theoretical, assuming the compounds form perfect crystals. The next step, the authors said, is for experimentalists to see if the material works in the real world as well as predicted. In the meantime, the researchers are using their computational techniques to explore whether these double perovskites have properties useful for other applications like light detectors. For quantum dot (QD) materials to perform well in devices such as solar cells, the nanoscale crystals in them need to pack together tightly so that electrons can hop easily from one dot to the next and flow out as current. MIT researchers have now made QD films in which the dots vary by just one atom in diameter and are organized into solid lattices with unprecedented order. Subsequent processing pulls the QDs in the film closer together, further easing the electrons’ pathway. 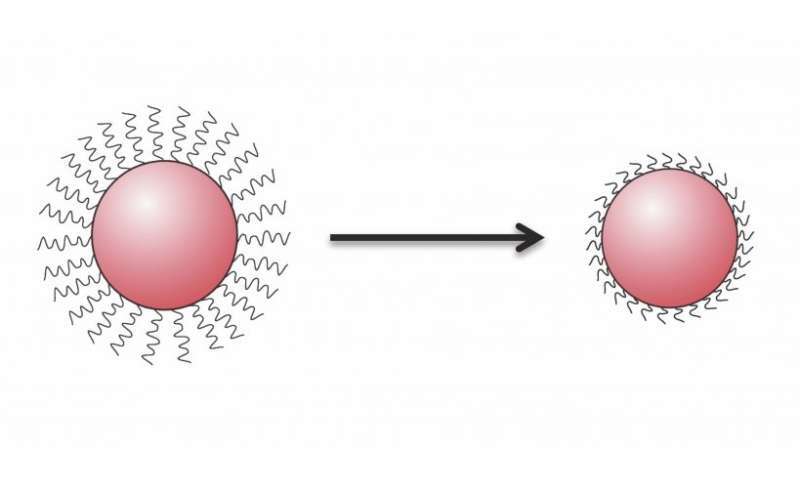 Tests using an ultrafast laser confirm that the energy levels of vacancies in adjacent QDs are so similar that hopping electrons don’t get stuck in low-energy dots along the way. Taken together, the results suggest a new direction for ongoing efforts to develop these promising materials for high performance in electronic and optical devices. In recent decades, much research attention has focused on electronic materials made of quantum dots, which are tiny crystals of semiconducting materials a few nanometers in diameter. After three decades of research, QDs are now being used in TV displays, where they emit bright light in vivid colors that can be fine-tuned by changing the sizes of the nanoparticles. But many opportunities remain for taking advantage of these remarkable materials. “QDs are a really promising underlying materials technology for energy applications,” says William Tisdale, the ARCO Career Development Professor in Energy Studies and an associate professor of chemical engineering. QD materials pique his interest for several reasons. QDs are easily synthesized in a solvent at low temperatures using standard procedures. The QD-bearing solvent can then be deposited on a surface—small or large, rigid or flexible—and as it dries, the QDs are left behind as a solid. Best of all, the electronic and optical properties of that solid can be controlled by tuning the QDs. The ability to adjust electron behavior to suit specific devices is of particular interest. For example, in solar photovoltaics (PVs), electrons should pick up energy from sunlight and then move rapidly through the material and out as current before they lose their excess energy. In light-emitting diodes (LEDs), high-energy “excited” electrons should relax on cue, emitting their extra energy as light. With thermoelectric (TE) devices, QD materials could be a game-changer. When TE materials are hotter on one side than the other, they generate electricity. So TE devices could turn waste heat in car engines, industrial equipment, and other sources into power—without combustion or moving parts. The TE effect has been known for a century, but devices using TE materials have remained inefficient. The problem: While those materials conduct electricity well, they also conduct heat well, so the temperatures of the two ends of a device quickly equalize. In most materials, measures to decrease heat flow also decrease electron flow. One challenge in working with QDs has been to make particles that are all the same size and shape. 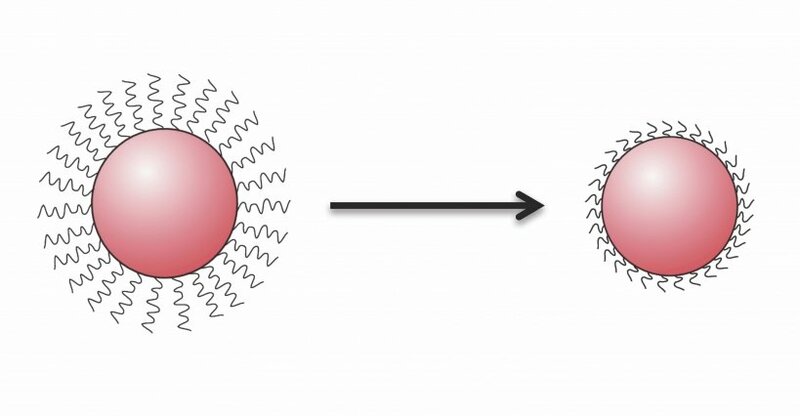 During QD synthesis, quadrillions of nanocrystals are deposited onto a surface, where they self-assemble in an orderly fashion as they dry. If the individual QDs aren’t all exactly the same, they can’t pack together tightly, and electrons won’t move easily from one nanocrystal to the next. Three years ago, a team in Tisdale’s lab led by Mark Weidman Ph.D. ’16 demonstrated a way to reduce that structural disorder. In a series of experiments with lead-sulfide QDs, team members found that carefully selecting the ratio between the lead and sulfur in the starting materials would produce QDs of uniform size. “As those nanocrystals dry, they self-assemble into a beautifully ordered arrangement we call a superlattice,” Tisdale says. Scattering electron microscope images of those superlattices taken from several angles show lined-up, 5-nanometer-diameter nanocrystals throughout the samples and confirm the long-range ordering of the QDs. For a closer examination of their materials, Weidman performed a series of X-ray scattering experiments at the National Synchrotron Light Source at Brookhaven National Laboratory. Data from those experiments showed both how the QDs are positioned relative to one another and how they’re oriented, that is, whether they’re all facing the same way. The results confirmed that QDs in the superlattices are well ordered and essentially all the same. The researchers next focused on how to tailor their monodisperse QD materials for efficient transfer of electrical current. “In a PV or TE device made of QDs, the electrons need to be able to hop effortlessly from one dot to the next and then do that many thousands of times as they make their way to the metal electrode,” Tisdale explains. One way to influence hopping is by controlling the spacing from one QD to the next. A single QD consists of a core of semiconducting material—in this work, lead sulfide—with chemically bound arms, or ligands, made of organic (carbon-containing) molecules radiating outward. The ligands play a critical role—without them, as the QDs form in solution, they’d stick together and drop out as a solid clump. Once the QD layer is dry, the ligands end up as solid spacers that determine how far apart the nanocrystals are. A standard ligand material used in QD synthesis is oleic acid. Given the length of an oleic acid ligand, the QDs in the dry superlattice end up about 2.6 nanometers apart—and that’s a problem. Using shorter ligands in the starting solution would reduce that distance, but they wouldn’t keep the QDs from sticking together when they’re in solution. “So we needed to swap out the long oleic acid ligands in our solid materials for something shorter” after the film formed, Tisdale says. To achieve that replacement, the researchers use a process called ligand exchange. First, they prepare a mixture of a shorter ligand and an organic solvent that will dissolve oleic acid but not the lead sulfide QDs. They then submerge the QD film in that mixture for 24 hours. During that time, the oleic acid ligands dissolve, and the new, shorter ligands take their place, pulling the QDs closer together. The solvent and oleic acid are then rinsed off. Tests with various ligands confirmed their impact on interparticle spacing. Depending on the length of the selected ligand, the researchers could reduce that spacing from the original 2.6 nanometers with oleic acid all the way down to 0.4 nanometers. However, while the resulting films have beautifully ordered regions—perfect for fundamental studies—inserting the shorter ligands tends to generate cracks as the overall volume of the QD sample shrinks. One result of that work came as a surprise: Ligands known to yield high performance in lead-sulfide-based solar cells didn’t produce the shortest interparticle spacing in their tests. One possibility is a mismatch between the energy levels of the electrons in adjacent QDs. In any material, electrons exist at only two energy levels—a low ground state and a high excited state. If an electron in a QD film receives extra energy—say, from incoming sunlight—it can jump up to its excited state and move through the material until it finds a low-energy opening left behind by another traveling electron. It then drops down to its ground state, releasing its excess energy as heat or light. In solid crystals, those two energy levels are a fixed characteristic of the material itself. But in QDs, they vary with particle size. Make a QD smaller and the energy level of its excited electrons increases. Again, variability in QD size can create problems. Once excited, a high-energy electron in a small QD will hop from dot to dot—until it comes to a large, low-energy QD. So the greater mismatch between energy levels—called energetic disorder—the worse the electron mobility. To measure the impact of energetic disorder on electron flow in their samples, Rachel Gilmore Ph.D. ’17 and her collaborators used a technique called pump-probe spectroscopy—as far as they know, the first time this method has been used to study electron hopping in QDs. QDs in an excited state absorb light differently than do those in the ground state, so shining light through a material and taking an absorption spectrum provides a measure of the electronic states in it. But in QD materials, electron hopping events can occur within picoseconds—10-12 of a second—which is faster than any electrical detector can measure. The researchers therefore set up a special experiment using an ultrafast laser, whose beam is made up of quick pulses occurring at 100,000 per second. Their setup subdivides the laser beam such that a single pulse is split into a pump pulse that excites a sample and—after a delay measured in femtoseconds (10-15 seconds)—a corresponding probe pulse that measures the sample’s energy state after the delay. 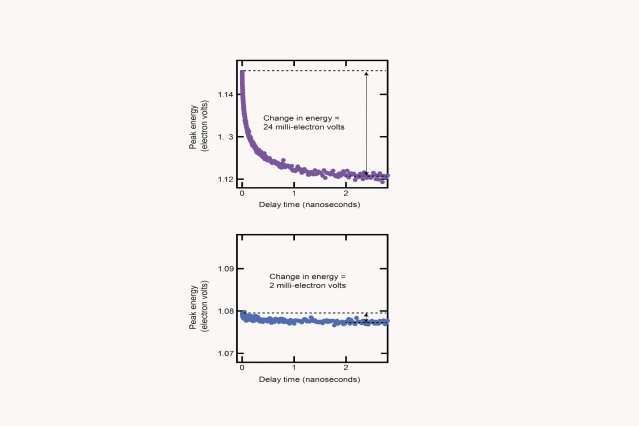 By gradually increasing the delay between the pump and probe pulses, they gather absorption spectra that show how much electron transfer has occurred and how quickly the excited electrons drop back to their ground state. Using this technique, they measured electron energy in a QD sample with standard dot-to-dot variability and in one of the monodisperse samples. In the sample with standard variability, the excited electrons lose much of their excess energy within 3 nanoseconds. In the monodisperse sample, little energy is lost in the same time period—an indication that the energy levels of the QDs are all about the same. By combining their spectroscopy results with computer simulations of the electron transport process, the researchers extracted electron hopping times ranging from 80 picoseconds for their smallest quantum dots to over 1 nanosecond for the largest ones. And they concluded that their QD materials are at the theoretical limit of how little energetic disorder is possible. Indeed, any difference in energy between neighboring QDs isn’t a problem. At room temperature, energy levels are always vibrating a bit, and those fluctuations are larger than the small differences from one QD to the next. “So at some instant, random kicks in energy from the environment will cause the energy levels of the QDs to line up, and the electron will do a quick hop,” says Tisdale. What’s needed instead is a way to put short ligands on the QDs when they’re in solution and then let them self-assemble into the desired structure. Panasonic is far from being satisfied with only a battery supplier role. The Japanese company has greater ambitions and intends to offer its scalable “ePowertrain” platform for small EVs. The main target for the ePowertrain are EV bikes and micro EVs. These should now be easier to develop and produce using Panasonic’s power unit (with an on-board charger, junction box, inverter and DC-to-DC converter) and a motor unit. Of course, batteries are available too. “Panasonic Corporation announced today that it has developed a scalable “ePowertrain” platform, a solution for the effective development of small electric vehicles (EVs). The platform is a systematized application of devices used in the EVs of major global carmakers, and is intended to contribute to the advancement of the coming mobility society. Global demand for EVs is expected to expand rapidly, along with a wide variety of new mobility. These include not only conventional passenger vehicles but also new types of EVs, such as EV bikes and micro EVs, which suit various lifestyles and uses in each region. The platform Panasonic has developed for EV bikes and micro EVs is an energy-efficient, safe powertrain that features integrated compactness, high efficiency, and flexible scalability. It consists of basic units, including a power unit (with an on-board charger, junction box, inverter and DC-to-DC converter) and a motor unit. The platform will help reduce costs and lead time for vehicle development by scaling up or down the combination of basic units in accordance with vehicle specifications such as size, speed and torque. In the case of full-size cars, Panasonic is most known for its battery cells supplied to Tesla. The partnership was recently expanded to include solar cells. Panasonic feels pretty independent from Tesla, stressing that it has its own battery factory “inside” the Tesla Gigafactory, however the cells were “jointly designed and engineered”. Annual production of 35 GWh is expected in 2019. Panasonic’s lithium-ion battery factory within Tesla’s Gigafactory handles production of 2170-size*1 cylindrical battery cells for Tesla’s energy storage system and its new “Model 3” sedan, which began production in July 2017. The high performance cylindrical “2170 cell” was jointly designed and engineered by Tesla and Panasonic to offer the best performance at the lowest production cost in an optimal form factor for both electric vehicles (EVs) and energy products. Panasonic and Tesla are conducting phased investment in the Gigafactory, which will have 35 GWh*/year production capacity of lithium-ion battery cells, more than was produced worldwide in 2013. Panasonic is estimating that global production volume for electric vehicles in fiscal 2026 will see an approximately six-fold increase from fiscal 2017 to over 3 million units. The Company will contribute to the realization of a sustainable energy society through the provision of electric vehicle batteries. In regards to solar cells, Panasonic expects 1 GW output at the Tesla Gigafactory 2 in Buffalo, New York in 2019. The solar cells are used both in conventional modules, as well as in Tesla Solar Roof tiles. In addition to the collaboration with Tesla in the lithium-ion battery business (for details, refer to pages 5-6), Panasonic also collaborates with the company in the solar cell business and will begin production of solar cells this summer at its Buffalo, New York, factory. Solar cells produced at this factory are supplied to Tesla. In addition, the solar cells are used in roof tiles sold by Tesla, a product that integrates solar cells with roofing materials.Panasonic will continue its investment in the factory going forward and plans to raise solar cell production capacity to 1 GW by 2019. Over the past half-century, scientists have shaved silicon films down to just a wisp of atoms in pursuit of smaller, faster electronics. For the next set of breakthroughs, though, they’ll need novel ways to build even tinier and more powerful devices. A study led by UChicago researchers, published Sept. 20 in Nature, describes an innovative method to make stacks of semiconductors just a few atoms thick. The technique offers scientists and engineers a simple, cost-effective method to make thin, uniform layers of these materials, which could expand capabilities for devices from solar cells to cell phones. Stacking thin layers of materials offers a range of possibilities for making electronic devices with unique properties. But manufacturing such films is a delicate process, with little room for error. Today, these layers are “grown” instead of stacking them on top of one another. But that means the bottom layers have to be subjected to harsh growth conditions such as high temperatures while the new ones are added—a process that limits the materials with which to make them. Park’s team instead made the films individually. Then they put them into a vacuum, peeled them off and stuck them to one another, like Post-It notes. This allowed the scientists to make films that were connected with weak bonds instead of stronger covalent bonds—interfering less with the perfect surfaces between the layers. Kan-Heng Lee, a graduate student and co-first author of the study, then tested the films’ electrical properties by making them into devices and showed that their functions can be designed on the atomic scale, which could allow them to serve as the essential ingredient for future computer chips. “We expect this new method to accelerate the discovery of novel materials, as well as enabling large-scale manufacturing,” Park said. A medium-sized commercial weed grow with around 50 lights stands to save about $13,500 in electricity costs a year with the use of two Tesla Batteries. Those will also protect the plants in case of power outages while making the operation less visible to law enforcement. Elon Musk just made growing weed easier. As a backup power source for when the grid goes down. Know who uses an awful lot of electricity? Weed growers. We just called one and put him on the phone with a commercial energy use management expert to figure out how the Tesla Battery will benefit his home operation and others like it. Our friend’s operation is small, but profitable. With eight to ten grow lights running 16-20 hours a day in his garage, as well as air-conditioning during hotter parts of the year, his monthly electricity bill is around $2,100, including his home use. As a domestic consumer of electricity, he’s currently purchasing flat-rate power. In that current arrangement, the Tesla Battery would not save him money day-to-day. Where it would help would be during a power outage, where it would enable him to keep at least some of his lights on, part of the time. In total, those lights alone are using up to 250kWh of power a day, so even two 10kWh batteries could only keep some of the lights on part time. In the lifecycle of a marijuana plant, the vegetative state is where the plants are growing. Depending on the individual plants and the method with which they’re being grown, this stage can last from two weeks to two months. Premature flowering would lead to smaller plants producing fewer, smaller buds and therefore a smaller crop. The point in the plant lifecycle at which a power outage occurs, its duration and the amount of marijuana being grown will combine to determine the financial loss, but it’s safe to say that the Tesla Battery could throw growers a lifeline during extreme weather or natural disasters. We’ve all heard stories about growers being outed by the energy intensive nature of their work. Roofs over grow rooms free of snow during winters or insanely high electricity bills have all, in those stories at least, tipped off the cops. One of the other touted benefits of the Battery is its ability to facilitate off-grid living. By hooking it up to solar panels, the Battery can store energy during the day, then keep your house powered throughout the night. Or your off-grid grow, maybe? He’s right. The most powerful solar panel kit currently available at Home Depot costs $12,388 and produces only 3,800 to 8,900kWh a year. Best case scenario, that yearly total is only enough to power our buddy’s 8-10 lights for a little over a month. Look at it from a cost perspective and 10 times the price of his monthly electricity bill (lights only) nets him about 1/10th the power. And that’s before buying any batteries, Tesla or otherwise. At this point, the real savings possible with the Tesla Battery come with scale. But not that much more. Our commercial energy consumption management expert sat down and ran the numbers assuming a medium-sized, 50-light commercial operation running its A/C during the day. 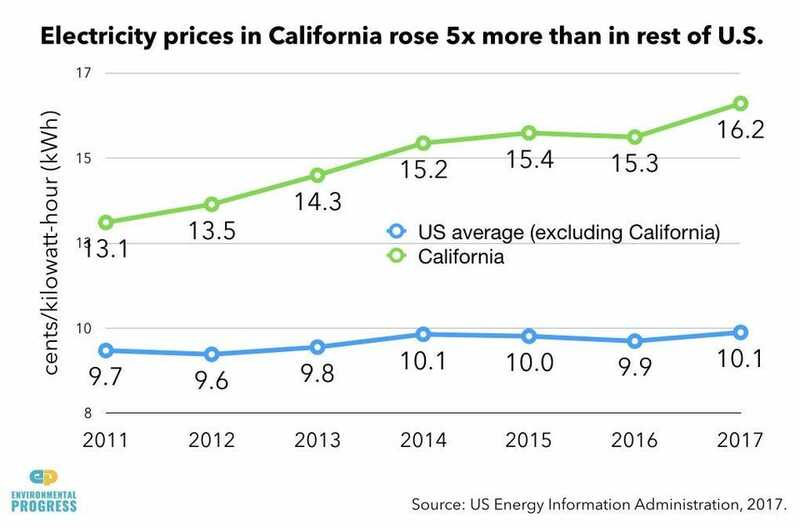 These numbers are based on commercial electricity rates here in California, where the company is paying a premium during high-demand hours. With two 10kWh Tesla Batteries giving this commercial grow the ability to shift some of its load to off-peak hours, savings in demand charges alone would total $8,000 a year, while use charges would lower by $5,500, for a total savings of $13,500. Of course, even just at 50 lights, we’re talking about a multi-million dollar operation, making this sound like relative chump change. Worthwhile — the batteries would be paid for in just over 6 months of savings — but hardly revolutionary. “Where these batteries might start to make sense for small growers is when LEDs are optimized for herb,” says our grower. He’s skeptical of the light quality produced by current LED grow lights, but sees that technology being optimized for marijuana in the near future. When it is, it could drastically lower the energy consumption of growing, reducing electricity used by the lights alone by 60 percent or more. Lower outright energy consumption will reduce the cost of growing, of course, but it also shifts the amount of consumption into a range that could be more easily handled by Tesla Batteries. Given the current pace of marijuana legalization, the need for clandestine home grows may largely be eliminated by the time dipping energy consumption and increasing battery capacity meet in a home solar power sweet zone, but as a massive electricity consumer, it does look like the marjiuana industry is going to profit from the same Tesla Battery benefits everyone else will — reduced peak demand and increased stability during outages. Are there ‘soon to be coming to market – more energy dense batteries’ available? Indefinitely Wild is a new publication about adventure travel in the outdoors, the vehicles and gear that get us there and the people we meet along the way. Follow us on Facebook, Twitter, and Instagram. 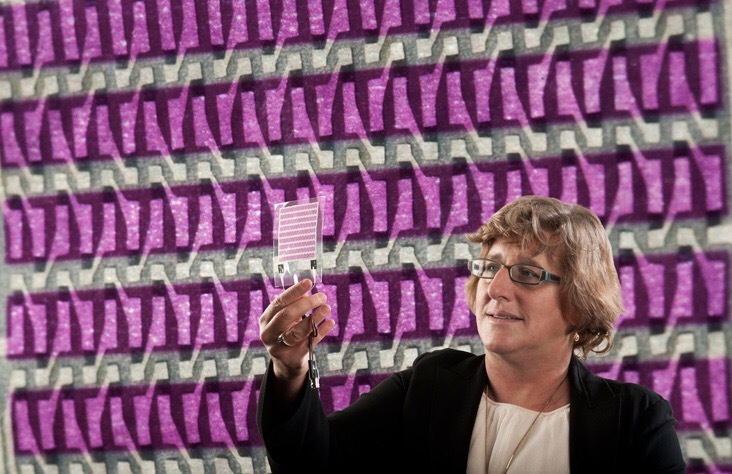 Chemical engineer Karen K. Gleason would like to paper the world with solar cells. Glued to laptops, tacked onto roof tiles, tucked into pockets, lining window shades, she envisions ultrathin, ultra-flexible solar cells going where no solar cells have gone before. Silvery blue solar cells seem to magically generate electricity from sunlight the way Rumpelstiltskin spun straw into gold but in their present form, they’re more akin to gold than straw. Karen Gleason develops a low-cost, environmentally friendly way to make solar cells on tracing paper, which one day might charge a cell phone. The cost of manufacturing crystalline and thin-film solar cells with silicon, glass, and rare earth materials like tellurium and indium is high. Gleason, the Alexander and I. Michael Kasser Professor of Chemical Engineering, has collaborated with Vladimir Bulovic, professor of electrical engineering; former chemical engineering graduate student Miles C. Barr; and others to come up with a low-cost, environmentally friendly way to make practically indestructible solar cells on ordinary tracing paper. One day, a paper solar cell might help us charge a cell phone. “A paper substrate is a thousand times cheaper than silicon and glass. What’s more, these solar cells can be scrunched up, folded a thousand times, and weatherproofed,” she says. Using abundant, inexpensive organic elements like carbon, oxygen, and copper­­ — “nothing exotic,” she says — in a vacuum chamber, layers are “printed” through a process called vapor deposition, similar to frost forming on a window. At less than 120 degrees Celsius, the method is gentler and cooler than that normally used to manufacture photovoltaic materials, allowing it to be used on delicate paper, cloth, or plastic. “We repeat that five times and you end up with a solar cell,” she says; tweaking the composition of the five layers of materials determines the cells’ energy output. The research is funded by MITEI founding member Eni SpA, Italy’s biggest energy company, which is pursuing new advances in biofuels, solar, and other forms of alternative energy. “The challenge of the project appealed to me,” she says. “I also thought it would be fun.” Her students display a prototype solar cell (a sheet of paper embossed with a pinstripe and chain-link design) folded into a paper airplane as a power source for an LCD clock. Gleason would like to see the first commercial solar paper devices hit the market in five years, but first the cells’ efficiency has to be ramped up from nearly 4 percent to at least 10 percent. (Commercial solar cells have an efficiency of around 15 percent.) MIT engineers believe this is doable. Then, the sky’s the limit — solar cells could power iPads, generate lighting inside tents, keep ski clothing toasty. “The paper cells’ portability could have a big impact in developing countries, where the cost of transporting solar cells has been prohibitive. “Rather than confining solar power to rooftops or solar farms, paper photovoltaics can be used virtually anywhere, making energy ubiquitous,” Gleason says. Using sunlight to drive chemical reactions, such as artificial photosynthesis, could soon become much more efficient thanks to nanomaterials. This is the conclusion of a study published today led by researchers in the Department of Physics at Imperial College London, which could ultimately help improve solar energy technologies and be used for new applications, such as using sunlight to break down harmful chemicals. One reason is that many molecules that can undergo chemical reactions with light do not efficiently absorb the light themselves. They rely on photocatalysts – materials that absorb light efficiently and then pass the energy on to the molecules to drive reactions. Lead author Dr Emiliano Cortés from the Department of Physics at Imperial, said: “This finding opens new opportunities for increasing the efficiency of using and storing sunlight in various technologies. The material that the team investigated is made of metal nanoparticles – particles only billionths of a metre in diameter. Their results are published today in the Journal Nature Communications. Lead researcher Professor Stefan Maier said: “This is a powerful demonstration of how metallic nanostructures, which we have investigated in my group at Imperial for the last 10 years, continue to surprise us in their abilities to control light on the nanoscale. Startup aims for wider U.S. solar adoption with photovoltaic panels that can display any image. But that adoption rate could still use a boost, according to MIT spinout Sistine Solar. “If you look at the landscape today, less than 1 percent of U.S. households have gone solar, so it’s nowhere near mass adoption,” says co-founder Senthil Balasubramanian MBA ’13. Sistine’s novel technology, SolarSkin, is a layer that can be imprinted with any image and embedded into a solar panel without interfering with the panel’s efficacy. Homeowners can match their rooftop or a grassy lawn. Panels can also be fitted with business logos, advertisements, or even a country’s flag. SolarSkin systems cost about 10 percent more than traditional panel installations. But over the life of the system, a homeowner can still expect to save more than $30,000, according to the startup. A winner of a 2013 MIT Clean Energy Prize, Sistine has recently garnered significant media attention as a rising “aesthetic solar” startup. Last summer, one of its pilot projects was featured on the Lifetime television series “Designing Spaces,” where the panels blended in with the shingle roof of a log cabin in Hubbardston, Massachusetts. In December, the startup installed its first residential SolarSkin panels, in a 10-kilowatt system that matches a cedar pattern on a house in Norwell, Massachusetts. Now, the Cambridge-based startup says it has 200 homes seeking installations, primarily in Massachusetts and California, where solar is in high demand. Captivating people with solar – Who Said Solar Can’t Be Beautiful? SolarSkin is the product of the co-founders’ unique vision, combined with MIT talent that helped make the product a reality. Balasubramanian came to MIT Sloan in 2011, after several years in the solar-power industry, with hopes of starting his own solar-power startup — a passion shared by classmate and Sistine co-founder Ido Salama MBA ’13. One day, the two were brainstorming at the Muddy Charles Pub, when a surprisingly overlooked issue popped up: Homeowners, they heard, don’t really like the look of solar panels. That began a nebulous business mission to “captivate people’s imaginations and connect people on an emotional level with solar,” Balasubramanian says. Recruiting Jonathan Mailoa, then a PhD student in MIT’s Photovoltaic Research Laboratory, and Samantha Holmes, a mosaic artist trained in Italy who is still with the startup, the four designed solar panels that could be embedded on massive sculptures and other 3-D objects. They took the idea to 15.366 (Energy Ventures), where “it was drilled into our heads that you have to do a lot of market testing before you build a product,” Balasubramanian says. That was a good thing, too, he adds, because they realized their product wasn’t scalable. “We didn’t want to make a few installations that people talk about. … We [wanted to] make solar so prevalent that within our lifetime we can see the entire world convert to 100 percent clean energy,” Balasubramanian says. The team’s focus then shifted to manufacturing solar panels that could match building facades or street fixtures such as bus shelters and information kiosks. In 2013, the idea earned the team — then officially Sistine Solar — a modest DOE grant and a $20,000 prize from the MIT Clean Energy Prize competition, “which was a game-changer for us,” Balasubramanian says. But, while trying to construct custom-designed panels, another idea struck: Why not just make a layer to embed into existing solar panels? Recruiting MIT mechanical engineering student Jody Fu, Sistine created the first SolarSkin prototype in 2015, leading to pilot projects for Microsoft, Starwood Hotels, and other companies in the region. SolarSkin is a layer that employs selective light filtration to display an image while still transmitting light to the underlying solar cells. The ad wraps displayed on bus windows offer a good analogy: The wraps reflect some light to display an image, while allowing the remaining light through so passengers inside the bus can see out. SolarSkin achieves a similar effect — “but the innovation lies in using a minute amount of light to reflect an image [and preserve] a high-efficiency solar module,” Balasubramanian says. To achieve this, Occidentale and others at Sistine have developed undisclosed innovations in color science and human visual perception. “We’ve come up with a process where we color-correct the minimal information we have of the image on the panels to make that image appear, to the human eye, to be similar to the surrounding backdrop of roof shingles,” Occidentale says. As for designs, Sistine has amassed a database of common rooftop patterns in the United States, such as asphalt shingles, clay tiles, and slate, in a wide variety of colors. “So if a homeowner says, for instance, ‘We have manufactured shingles in a barkwood pattern,’ we have a matching design for that,” he says. Custom designs aren’t as popular, but test projects include commercial prints for major companies, and even Occidentale’s face on a panel. Currently, Sistine is testing SolarSkin for efficiency, durability, and longevity at the U.S. National Renewable Energy Laboratory under a DOE grant. The field of aesthetic solar is still nascent, but it’s growing, with major companies such as Tesla designing entire solar-panel roofs. But, as far as Balasubramanian knows, Sistine is the only company that’s made a layer that can be integrated into any solar panel, and that can display any color as well as intricate patterns and actual images.